Leading whisky expert Charles MacLean on the underrated art of downing a good Scotch. We all love a splash of golden liquor now and then, but the fine art of appreciating whisky requires a heightening of the senses. 'Nosing' whisky, a technique employed by blenders, is called sensory evaluation or analeptic assessment. Prior to sipping, examine its colour and 'tears', which are the reams left behind on the glass after you swirl it. Even our sense of hearing can help us judge the whisky; a full bottle should open with a happy little pluck of the cap. Appreciation and enjoyment are two dimensions of downing a stiff one. Identify how you like your whisky (with ice, soda or water) and stick with it. Getting sloshed on blended whisky is all very good, but you will need single malt and an understanding of three simple things to truly cherish your drink. A squat glass with a bulb at the bottom releases the full burst of its aroma when swilled. A narrow rim is an added advantage. Instead of topping the drink with ice, which dilutes the aroma, go for water. Small bites pair best with your whisky. 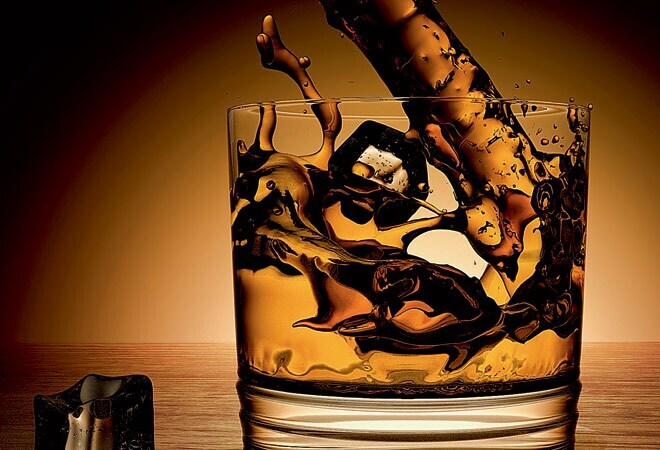 It excites the palate minimally, letting you detect the characteristics of the whisky through contrast. If you're not a big fan of food and whisky pairing, skip it. While old whiskies are not necessarily better, it's a known fact that most of the finer whiskies are well-aged. I would consider whiskies that are anywhere between 18 and 50 years as old, but it also depends on the age of the cask. If the cask is reactive, it will dominate the flavours of the whisky within ten years of the ageing process. If you leave the spirit in the cask for much longer, the flavour of the whisky will be overpowered by the wood, lending it a distinct edge. Maclean was in Delhi to conduct the Singleton Sensorial experience.